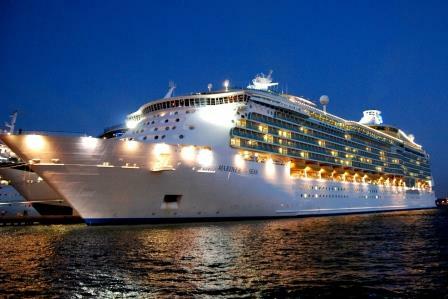 Dividend investing news, Sept. 15, 2014: Last week global vacation company Royal Caribbean Cruises Ltd. (NYSE: RCL) hiked its quarterly dividend $0.05, or 20%, to $0.30 per share. "Dividends continue to be an important component of total shareholder return," said Chief Executive Officer (CEO) Richard D. Fain. "This dividend increase was made possible by the efforts of the overall organization to continue to improve our financial position. It demonstrates our commitment to increasing shareholder value and our confidence in our ability to continue to grow returns in the future." The Miami, Fla.-based company has been paying dividends without interruption, and steadily boosting them, since its first distribution of $0.07 per share paid on March 29, 1996. Earlier this month, investment firm Jefferies raised its price target on RCL to $73 from $58 and reiterated its "Buy" rating. At $67.21, shares are up 41.73% year to date. Royal Caribbean is just one company that raised its payout last week. Following are the 20 other dividend stocks that sweetened the pot during the week ending Sept. 12. Aberdeen Israel Fund Inc. (NYSE: ISL) upped its annual payout 11.5% to $0.26 a share for a 1.33% yield. Aberdeen Latin America Equity Fund Inc. (NYSE: LAQ) boosted its semiannual payout 9.8% to $0.056 a share for a 1.46% yield. Allianz Global Equity and Convertible Income Fund (NYSE: NIE) raised its quarterly dividend a dime, or 35.7%, to $0.38 a share for a 7.57% yield. American Tower Corp. (NYSE: AMT) hiked its quarterly dividend $0.02 to $0.36 a share for a 1.5% yield. Associated Estates Realty Corp. (NYSE: AEC) raised its quarterly payout a penny to $0.20 a share for a 4.5% yield. Itau Unibanco Holding SA (NYSE ADR: ITUB) increased its monthly payment 1.3% to $0.006 a share for a 3.14% yield.